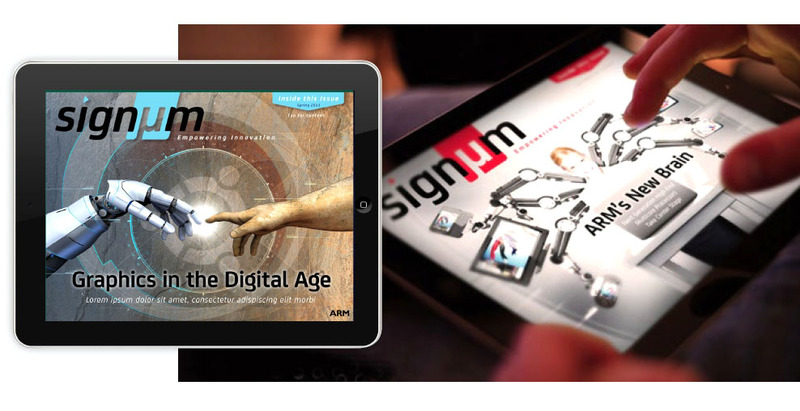 Transform ARM Technology’s existing content marketing magazine from standard, copy-intensive PDF into an engaging digital environment utilizing the most advanced digital content technology and design available. 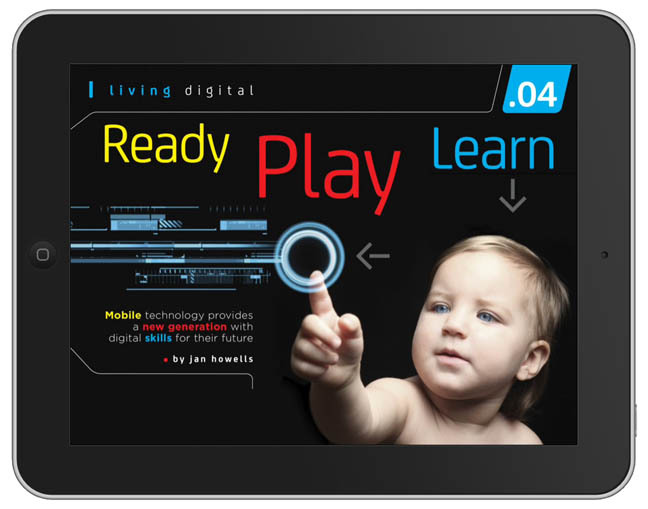 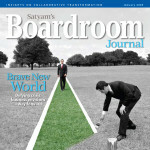 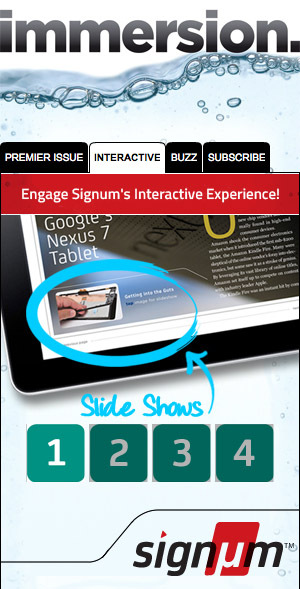 Signum is more than a magazine—it’s an interactive, immersive digital experience. 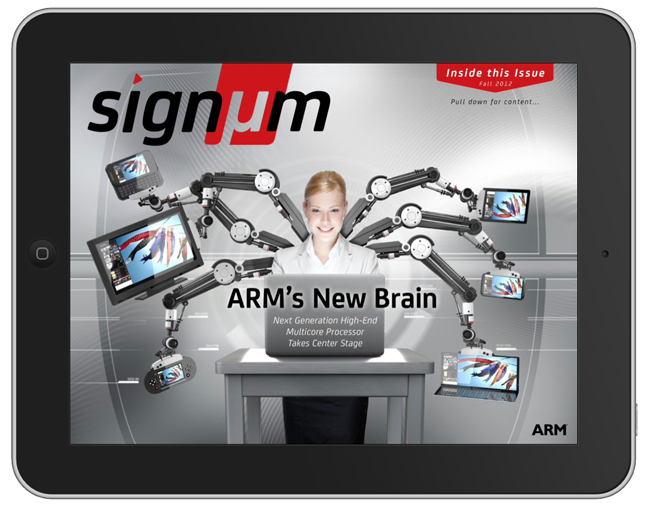 Using the most innovative, cutting-edge technology combined with award-winning design we produced a new engagement with content for ARM Technology customers and readers. 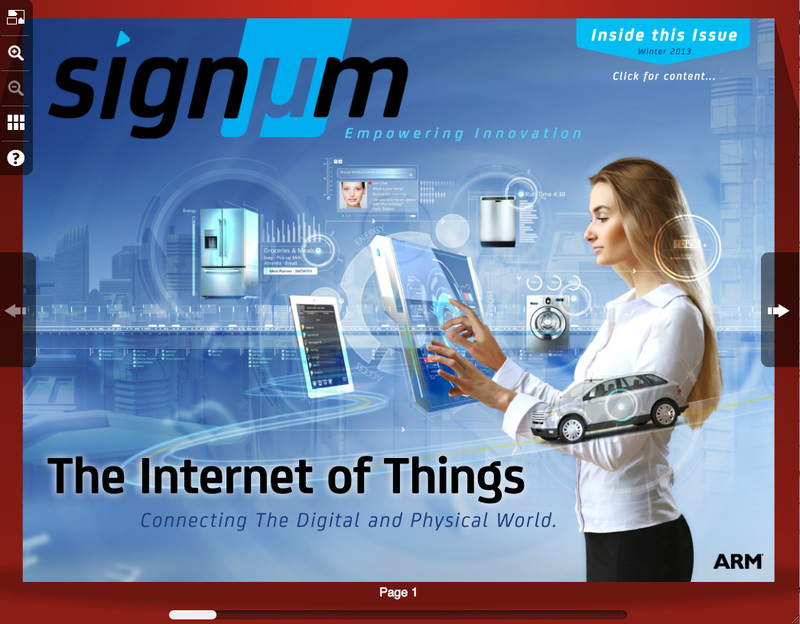 Signum was delivered in a variety of reader choices: iOS and Android native apps as well as web-based apps designed to be delivered to readers in their online or mobile device of choice. 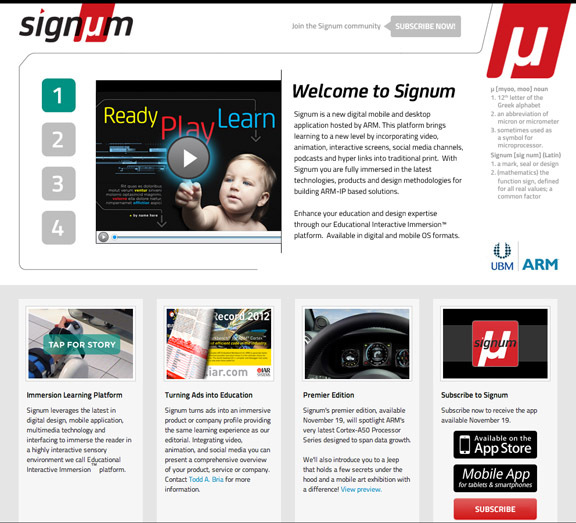 Signum won several awards for creativity, marketing, and technology including OZZIE, ASBPE, APEX, CMA.